Last night I had a dream I was at Nordstrom looking for a holiday party outfit & Victoria Beckham was my personal shopper/stylist. Everyone knew it was Victoria Beckham because apparently it was a holiday charity event where celebrities offered their styling services (I couldn't figure out if I was the charity or not). Victoria was quite nice, wish I could remember the ensemble she selected for me. And you know how Nordstrom usually has a grand piano in the center of the store playing twinkling holiday music? Well, David Beckham was also there decked out in a tartan tux (???) & playing the piano....I was all "Wow Becks, you're not only good with your feet, you're good with your hands, too." Then I woke up. I rarely dream, which is a good thing probably. In other news, I had fun with holiday gift wrapping this year. Like last year, we along with our extended family members decided to alleviate some of the holiday stress & forgo gifts for each other, thereby just spending that money on ourselves (the only gifts we're giving are for Quinn)*. So I have it easy this year with just wrapping a few gifts for close friends. I vowed not to buy anything new to gift wrap with, especially since I have so much crafty crap in my closet. I'm either really resourceful or a hoarder. 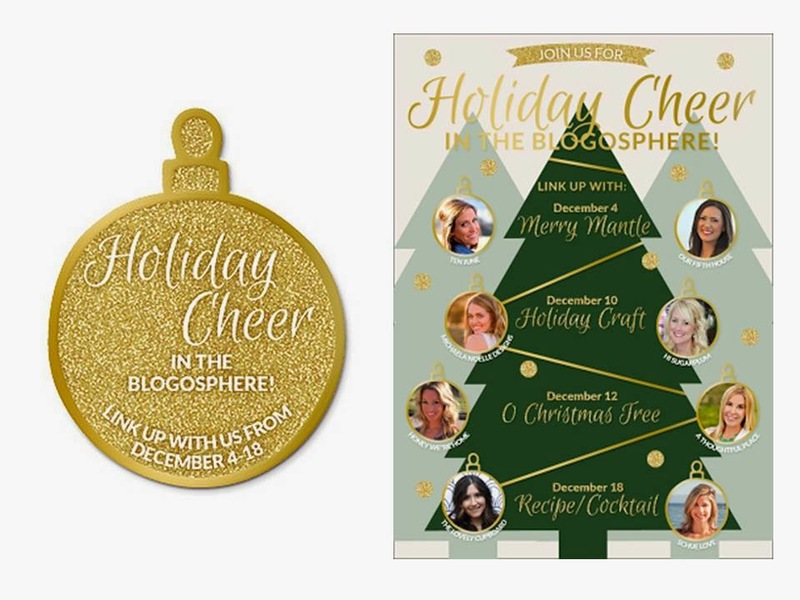 I'm linking up to my favorite gal pal I've never met, Cassie, & the lovely Michaela Noelle, who are both hosting a Holiday Craft link party here & here as part of the Holiday Cheer in the Blogosphere series (I shared my holiday mantel here). Check out their fabulously festive holiday crafts, the endless other inspiring links, & link up your own! I promise, no kraft paper next Christmas! Maybe. *Quinn says we all can keep our gold glitter tape, striped ribbons, & pretentious evergreen sprigs. Her gifts are getting decked out in Sofia the First/Doc McStuffins gift wrap.